The probate/juvenile court’s grant-writing team consisted of Judge Wehrkamp, Sally Wannemacher and Phillip Jackson. PAULDING – After being awarded a $123,914 technology grant from the Supreme Court of Ohio, Paulding County Probate/Juvenile Court Judge Michael A. Wehrkamp announced Tuesday the court is implementing a wide variety of improvements to the court’s technology infrastructure and enhancing the public’s access to court services. Until recent grant-enabled improvements, the probate/juvenile court’s case management software had not been upgraded since it was first installed in 2005. Technology grant funds are also supporting the development of a new probate/juvenile court website, increasing the public’s ability to obtain and review court documents. Among the new website’s contents will be a marriage license application form, local rules of the court, standard probate forms, an online payment portal, and eventually an online probate case search. Remaining grant funds have allowed for the purchase of a new server, benefitting all three of the county’s courts – the common pleas court, the county court and the probate/juvenile court. According to the Supreme Court of Ohio, over the past four years more than $11 million has been awarded to local courts across Ohio, supporting 361 projects in 81 of Ohio’s 88 counties. 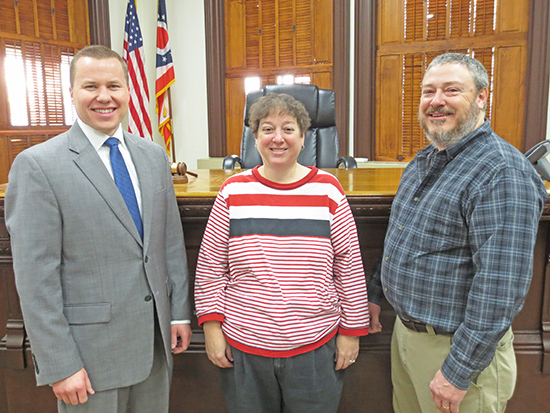 The probate/juvenile court’s grant-writing team consisted of Judge Wehrkamp, probate court administrator and deputy clerk Sally Wannemacher, and county technology director Phillip Jackson.